If you’ve learned something new recently, chances are your newfound knowledge was committed to memory during the N2 stage of sleep. Memories are formed and learning takes place during N2, the second stage of non-rapid eye movement sleep. Though it represents a deeper stage of sleep than N1, N2 is essential for cognition and other important brain activity. N2 occupies half the time we spend sleeping, or about 10 to 25 minutes of each of the four sleep cycles. Noises and other stimuli may cause easy awakening during N1 sleep, while increasing stimuli are required to rouse a sleeper during N2. (2) Waking is less likely during N2, but sounds may cause muscles to contract and then relax. Eyes show minimal to no movement once N2 sleep begins. Brain waves slow down during N2 sleep as the body prepares to enter deep, slow-wave sleep. Like the brain waves of N1 sleep, N2 brain waves are largely made up of theta waves. The frequency of theta waves is normally between five and eight cycles per second. Theta waves may occur during the waking state while daydreaming, or while performing a repetitive task such as cooking or driving. The hippocampus is the center of memory, emotion, and navigation in the brain. It also helps to control the autonomic nervous system. Sleep spindles are so named because they appear similar to a spindle of yarn. Sleep spindles involve activation in various parts of the brain such as the thalamus and anterior cingulate. Their length on EEG may vary according to the part of the brain where they originate. 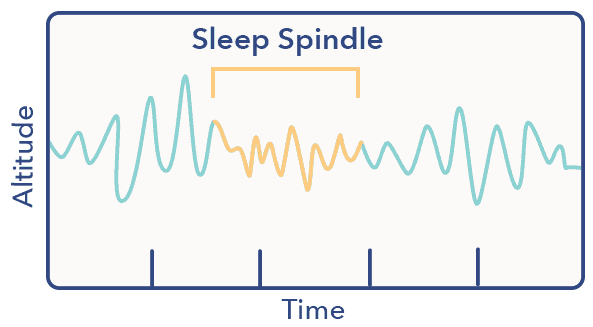 The neural interactions that take place during sleep spindle events create sweeping, circular waves across the neocortex. (5) This pattern appears to allow neurons to communicate across the folded gray matter of the brain. These waves travel at precisely the same speed it takes for two neurons to exchange information. Q: What is fatal familial insomnia? A: Fatal familial insomnia is a rare and fatal prion disease with a genetic origin. The disorder is characterized by worsening insomnia and rapidly deteriorating autonomic nervous system dysfunction. Muscle twitching often immediately follows the appearance of sleep spindles on EEG. This connection first occurs in babies four to six weeks after birth, and may indicate the development of neural networks between the brain and muscles. Spindle-related twitching continues into adulthood long after neural networks are created. This may represent a “system check” that allows the nervous system to reorganize itself and test connections during sleep. Extensive research supports the theory that sleep spindles are an essential part of memory consolidation. (7) They also appear to be important to sensorimotor processing. In studies in which subjects are introduced to new concepts or asked to memorize a sequence of words or numbers while awake, the number of sleep spindles increased markedly on EEG. Sleep spindles appear to help consolidate declarative memory, events or facts that can be “declared” in a conscious state. Declarative memory differs from procedural memory, which includes memories that feel automatic, such as body movements, language learned as a child, or the use of tools and objects. In addition to their role in memory and learning, sleep spindles may alter the perception of sound by the brain during sleep, helping to maintain the sleep state. (8) This is also known as sensory gating. Sensory gating is a neurological process by which the brain selectively filters out information, allowing only pertinent or threatening stimuli to be consciously recognized. Sensory gating may be impaired in people with such disorders as autism and schizophrenia. A term that illustrates sensory gating through the concept of a cocktail party. A cocktail party environment displays the brain’s ability to block out unnecessary auditory information and focus on a single stream of stimuli, such as a conversation with one person. K complexes are long delta waves that occur one at a time and last for approximately one second. They are the longest and one of the most distinct of all brain waves. 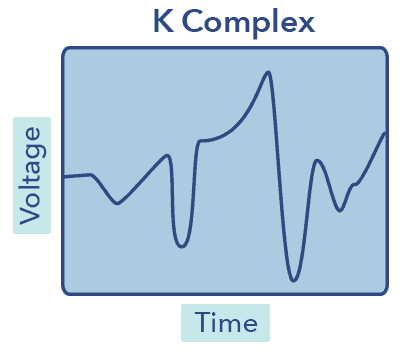 K complexes occur approximately every 1 to 2 seconds. (9) K complexes first occur in infants about five months after birth and continue to develop until adolescence. The amplitude and frequency of K complexes is higher on EEG in people under thirty, and begin to diminish after age 50. Sleep spindles show a similar age-related decrease. Like sleep spindles, K complexes are unique to non-REM sleep, and are seen most frequently during N2. However, unlike sleep spindles, they can be brought on by sounds in the environment or other stimuli such as touch or interruptions in breathing. K complexes may serve a similar function to sleep spindles, protecting the brain and the sleep state from disturbance by external stimuli. (10) The interaction between sleep spindles and K complexes allow the brain to maintain a tranquil state while safely ignoring outside stimuli the brain does not determine to be dangerous. Sleep disorders may have varying effects on all stages of sleep. While some disorders appear only in REM sleep or delay sleep, others have a particular effect on non-REM sleep, resulting in lack of restorative sleep, memory problems, or diminished quality of sleep. 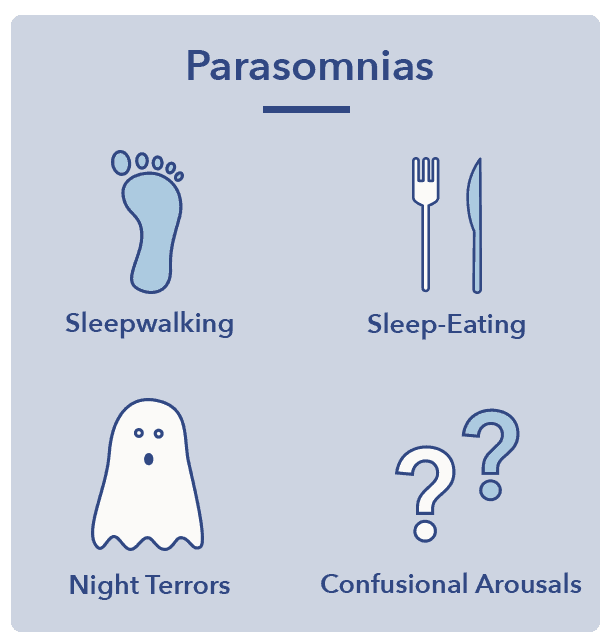 Parasomnias are a class of sleep disorders that generally arise out of non-REM sleep. They typically occur during partial arousals between non-REM sleep and wakefulness. Most common in children, parasomnias tend to diminish over time. Q: What is a confusional arousal? 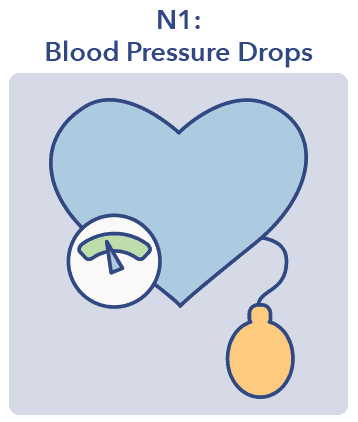 A: A confusional arousal is a type of sleep disorder that occurs during the transition from deep sleep to lighter sleep. The disorder causes partial or complete awakening characterized by confusion, disorientation, slow speech, and strange behavior. Restless Legs Syndrome (RLS) causes uncomfortable or painful sensations in the legs and the urge to move the legs in response. People who suffer from RLS tend to display more K complexes on EEG, particularly just before muscle movements occur. Even when RLS movements are alleviated by medication, K complexes do not return to normal frequency. This phenomenon may help explain why RSL sufferers experience non-restorative sleep even after primary muscle symptoms decrease. The movements of RLS may lead to fatigue not only due to a delay in sleep, but because of interrupted N1 and N2 sleep. These repeated arousals may lead to incomplete sleep stages, resulting in poor-quality sleep and diminished sleep efficiency. Narcolepsy sufferers may bypass the non-REM sleep stages, including N2 sleep, and fall directly into REM sleep. (13) REM sleep that begins at the onset of sleep distinguishes narcolepsy from other disorders of excessive sleepiness. This unusual pattern of sleep indicates dysfunction between the sleep and wake states. The unusual amount of time spent in REM sleep may account for the the high percentage of narcoleptics who suffer from sleep paralysis and hynagogic hallucinations. Due to the overlapping of the wake state with REM sleep, the muscle paralysis associated with REM sleep may persist into the wake state, causing sleep paralysis and other sensory disruptions. The lack of non-REM sleep may lead to further fatigue, difficulty learning, and problems with both short and long-term memory. Hypnagogic hallucinations are life-like visual phenomena that occur during the transition between sleeping and waking. These types of hallucinations are more likely to afflict people with narcolepsy and other sleep-wake disorders. N2 sleep is a complex stage of sleep with many functions, from memory consolidation to protection of the sleep state. 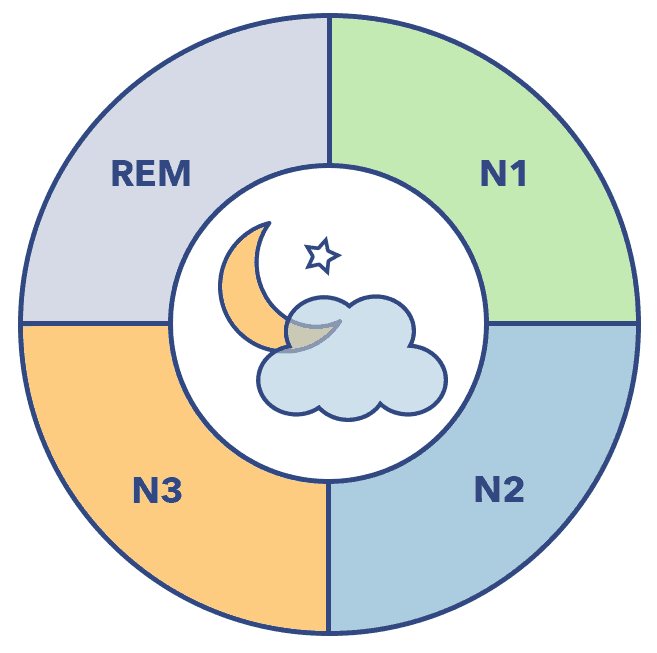 The physiological changes that occur during N2 help usher in N3 sleep, the deepest and most restorative phase of sleep. Every phase of sleep has distinct characteristics that reveal its purpose and importance in the sleep cycle. N2 may assist in the development of the nervous system in infancy, and its smooth functioning in adulthood. All four stages of sleep work in concert to produce the full range of sleep effects, each essential to health and well-being.